18 Years. 4 Funds. 60+ Investments. QuestMark is an expansion-stage firm investing behind exceptional management teams building market-leading or market-creating companies. We've worked hard over 18 years, four funds and 60+ investments to establish a track record and reputation as a valuable and trusted partner with our portfolio company management teams and co-investors. $5-15 million for our initial investment, with ample reserves to support continued growth. We build relationships with management teams and investors well ahead of a fundraising event. This creates an immediate base of trust to build upon. We welcome "reverse" due diligence on QuestMark. We're proud of the relationships we've built with our CEOs. With our limited partners and close co-investors, we have the capacity to invest $25-30 million in appropriate situations. We typically lead financings; however, we welcome investing alongside co-investors that are growth-oriented, experienced in private market investing, and aligned in vision. In either case, we will support the companies with equal vigor. We prefer to complete due diligence and submit a fully-baked ready to invest term sheet. We prefer companies with strong (and real) recurring revenue. Stagewise, there's no magic revenue number; it's more about momentum and fueling a proven, go to market strategy. We invest to accelerate and establish clear market leadership. We invest in teams pursuing ideas big enough to support long-term standalone success. We also fund acquisitions and are open to partial secondary purchases that maintain stakeholder alignments. We're opportunists, with particular interest in enterprise software, vertically-focused cloud software, mobile software, tech-enabled business services, security, financial technology, consumer internet, and healthcare IT. Our approach is active, often proactive, within the effective flow of management's efforts. As an entire team, we work tirelessly on behalf of our companies. This can be making the right introduction at a critical moment, paving the way for continued investor interest, or taking the requisite preparation time to be a true thought partner with your team. We are glad to get deeply involved when called upon. We've led financing processes, quarterbacked IPOs on behalf of the board, and negotiated deals with strategic partners. Great alignment leads to better answers and quicker action. We believe in establishing and maintaining effective dialogue and interaction between the management team, the board, and the investors. During diligence, we provide a list to the prospective CEO of all of our past and current CEOs for reference. Not all the situations worked out well from a return perspective, but we take pride in being a supportive partner in all situations. We and our Limited Partners are patient. Our holding periods have ranged from one to thirteen years. In 1966, Ben began his career in investment banking at Robert Garrett & Sons, which merged into Alex. Brown & Sons in 1974. Throughout his 32-year tenure, his efforts encompassed institutional, international and private client accounts, real estate finance, corporate finance, merger and acquisition transactions as well as public and private investing in emerging growth companies. In 1998, he left Alex. Brown to organize QuestMark with the original investment criteria and objectives that exist today. 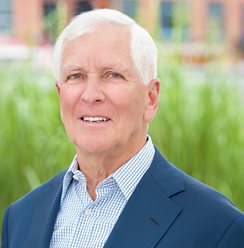 He has served as chairman, vice chairman and trustee or board member of a number of endowment funds, charitable organizations and professionally managed portfolios. Ben graduated from Randolph-Macon College in 1964 with a degree in Economics. Ben currently is or has been a member or active observer on the boards of ADARA, Align Technology (ALGN), AngioScore (acquired by Spectranetics), Aspect Medical Systems (ASPM), eHealth (EHTH), Fortify Software (acquired by HP), GeneOhm Sciences (acquired by Becton Dickinson), GenVault (acquired by IntegenX), Guavus (acquired by Thales), Hospital Partners of America, IntegenX, Kodiak Networks (acquired by Motorola Solutions), Mformation (acquired by Clearlake Capital Group), Nimblefish (acquired by RR Donnelley), Rhythm NewMedia (acquired by blinkx), SeniorHealth, Salient Surgical Technologies (acquired by Medtronic), TrialPay (acquired by VISA), Vapotherm, Venafi, Xirrus (acquired by Riverbed), and Yub (acquired by Coupons.com). 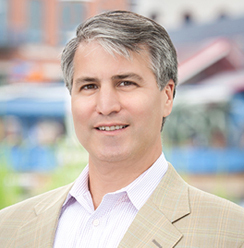 Tim joined QuestMark at its founding in 1998 as the Chief Financial Officer. Through the end of 2005, he managed all internal financial matters and assisted with transaction sourcing, due diligence, and financial analysis. Beginning in 2006, Tim relinquished the CFO role to focus on investment opportunities and his board positions. After receiving his MBA from the University of Virginia's Darden School in 1990, he spent from 1990 to 1998 working in various management capacities at operating companies and two start ups. Tim is a graduate of Princeton University. He is a Chairman Emeritus of Calvert School in Baltimore and a member of the Greater Baltimore Medical Center board. Tim currently serves on the boards of Discover Books and is a board observer for Urban Airship. In the past, he served on the boards of Engineous Software (acquired by Dassault Systems), Enpirion (acquired by Altera), iStreamPlanet (acquired by Turner Broadcasting Systems), NetBotz (acquired by American Power Conversion), Overture Networks (acquired by ADVA Optical Networking), RealLifeHR (acquired by Hewitt Associates), Vidyo, and SeniorHealth and served as a board observer for Virtustream (acquired by EMC) and Applause (acquired by Vista Equity Partners). Mike joined QuestMark in 2004 and became a partner in 2007. Prior to joining QuestMark, Mike was a management consultant with the Boston Consulting Group, where he worked with clients in the telecom, healthcare, energy, and retail industries. Previously, he was an intelligence officer in the US Navy. Mike focuses on growth equity investments in emerging leaders in new markets, as well as companies positioned to assume substantial share in established markets through an advantaged approach. Sector interests include SaaS/enterprise software, tech-enabled business services, consumer internet, and healthcare IT. Mike most recently led QuestMark's investments in InsideSales.com, ServiceMax (acquired by GE Digital) and Teladoc (TDOC). He also serves on the boards of Discover Books and Vapotherm. In the past, he has been on the board or involved with Fortify Software (acquired by HP), Ingenuity Systems (acquired by QIAGEN), MedManage Systems (acquired by Physicians Interactive), and Naviscan (acquired by CMR). Mike graduated from Northwestern University and received his MBA from Harvard Business School. He originally hails from the Great State of Wisconsin. 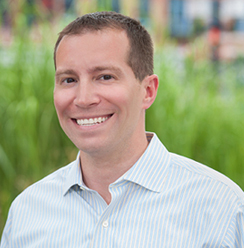 Brian joined QuestMark in 2008 and is engaged in all aspects of the investment process from financial modeling and industry research to deal execution and portfolio company support. He came to QuestMark after receiving his Masters in Business Administration from Virginia's Darden School of Business, where he concentrated in entrepreneurial finance. He was most recently a Summer Associate with New Enterprise Associates (NEA), where he focused on the firm's business development strategy in India and China, while working with the consumer technology investment team in the US. Prior to NEA, Brian was an Analyst with Montagu Newhall Associates conducting diligence on the firm's direct investments and fund-of-fund placements. His background in finance is augmented by his experience in sales, operations, and business development with two successful technology ventures; one in the financial services space and the other in enterprise networking. Brian received his undergraduate degree from Bowdoin College, where he was a two-time All-American Lacrosse player. Brian currently serves on the boards of Digabit, Social Tables, and Taulia and serves as a board observer for IntegenX. 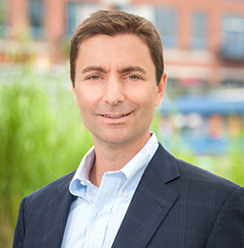 Nick joined QuestMark in 2006 and focuses on growth equity investments in SaaS/enterprise software, mobile software platforms, infrastructure software, security, communications, storage, consumer internet, digital media, and tech-enabled business services. 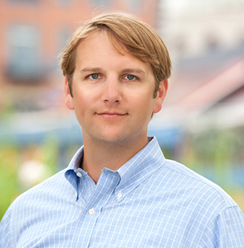 Nick most recently led QuestMark's investments in Peloton and KeyMe. Nick currently serves on the boards of KeyMe and Vidyo and is a board observer for ADARA and Venafi. In the past, he served on the board of Rhythm NewMedia (acquired by blinkx) and as a board observer for Applause (acquired by Vista Equity Partners). Prior to joining QuestMark, Nick was a management consultant with American Management Systems (now CGI Group, Inc.), where he advised clients on technology infrastructure implementations and software evaluations, and assisted in business development opportunities. Previously, he served as director of marketing and partnerships for Hannon Hill Corporation, a web content management start-up company. Nick is a graduate of Duke University and served on the board of the Duke Club of Washington from 2004-2016, among other alumni boards. Nick also co-founded the Duke Band Alumni Association, the largest active Duke Alumni affinity group. He enjoys watching Blue Devil basketball, playing in the Duke Alumni Pep Band, and watching his favorite NY sports teams. Jackie joined QuestMark in 2006 and her responsibilities include managing the Baltimore office, and coordinating meetings, events and travel. She is our point person in maintaining the comprehensive database of contacts and investment opportunities reviewed by QuestMark. Jackie is a graduate of Fairleigh Dickinson University where she received her B.S. in Business Administration. 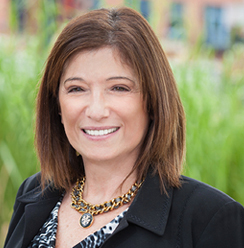 Lynn is responsible for the Fund's financial administration matters. Lynn has worked with QuestMark for much of its history, with a two-year hiatus to serve as the CFO for CMEA Ventures in San Francisco, CA. Lynn began her career at New Enterprise Associates in Baltimore, where she worked for eleven years. Most recently, Lynn served as NEA's Director of Partnership Finance. She is a CPA and has a BS degree in accounting from the University of Baltimore. 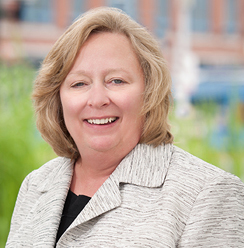 Lynn also works with a few other private equity and venture firms in the Baltimore area and brings a wealth of experience to our firm.